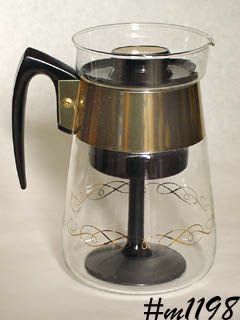 This listing has a super nice glass nice coffee pot made by Corning! This is 6 cup size and has plastic drip basket and lid. It is decoratively styled -- clear glass with gold color accents. Never used, even has filters!